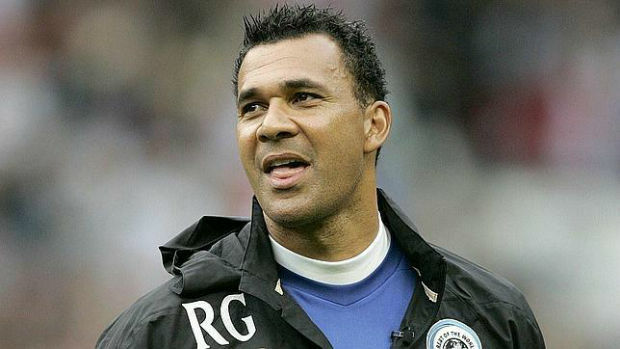 Ruud Gullit remains one of those soccer legends whose retirement sparked a lull for his home nations run in the game. Ever since Gullit not only Netherlands but the game itself has yet to see a striker such as Gullit. Known for his eccentric dreadlocks while playing in the soccer field and for his legendary partnership with fellow soccer icon and countryman Johan Cruyff – Gullit managed to carve out a niche in the game of soccer. The iconic striker was also well known for his honest statements and had a knack for not mincing words when it came to soccer controversies. Post retirement Gulit had an interesting and successful run of managing soccer teams including Chelsea, Newcastle United, and LA Galaxy. Nowadays he is a presenter for BBC Sport. Born as Rudi Dil in Amsterdam in September in 1962, to a Surinese father and Dutch mother. The family lived in a one room split level house while his father worked as an economics teacher and his mother worked as a custodian. Street soccer played a vital role in developing Gullit’s interest and skills in the game. Gullit’s first club was at the tender age of eight with the local team Meerboys, within two years Gullit moved to the DWS club and soon caught the attention of the Dutch youth team. By the time he was 16 the young Gullit signed his first professional contract with the Haarlem team. His talent with the ball was soon apparent as the teenager scored monumental goals in all three consecutive league matches he played. This spell was noticed by the Dutch team Feyenoord where he was signed on. It is here where Gullit met Johan Cruyff and formed a formidable partnership with him. Both remained firm friends till Cruyff’s death. Despite his towering height Gullit managed to make a strong impact I the field and was almost fluid like in his movements. At Feyenoord he amassed 40 goals in 101 appearances; this included the 1984 league and cup double. He was named Dutch Footballer of the Year for his contribution to Feyenoord’s success. After a brief stint at PSV where he scored 46 goals in 68 league matches, Gullit was signed on by AC Milan. Initially this move was a struggle for Gullit due to the language barrier and the fact that he was away from his native country for the first time. Despite these setbacks, Gullit’s appearances for Milan lead them to their first Scudetto Cup win in nine years. This was followed by the European Club win the next year. On the international front Gullit was the captain of the Netherlands national team which won the UEFA Euro in 1988. He was also part of the team for the FIFA World Cup in 1992. Gullit was 19 when he made his debut for his national side. Throughout his career in 611 matches Gullit scored 235 goals. Gullit won the Ballon d’Or in 1987 and was named the World Soccer Player of the Year twice in 1987 and 1989. In 2004 he was named as one of the Top 125 Greatest Living Footballers of all times by FIFA.